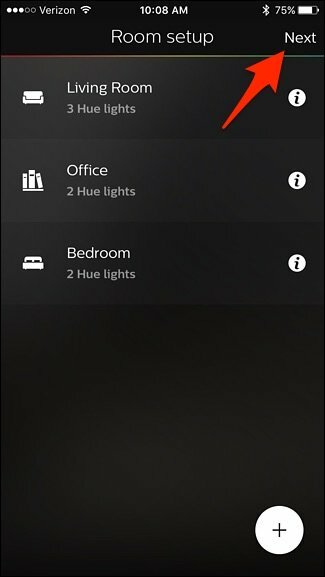 How to setup Philips Hue Lights? Philips has arrived with its innovative new bulbs for Home Automaton launched under the “Hue” series. The entire Philips Hue range features a variety of lighting solutions that helps you to set the perfect mood for every occasion. Whether its your weekend parties or a cozy movie experience, the Philips Hue lighting solution will help you set the perfect mood. However, this Wi-Fi operated bulbs require its own Philips Hue Bridge to connect that acts as the source and communicates the user commands to act as per the initiated action through their smartphones. 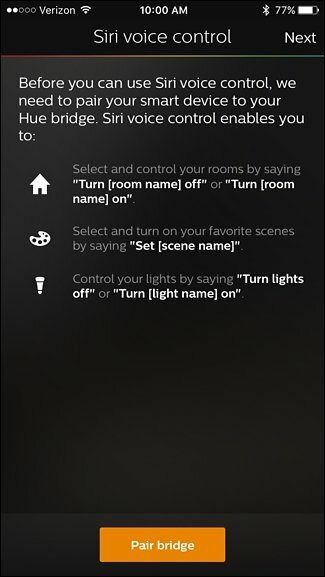 Let us a take a look at how to setup Philips Hue Bulbs. 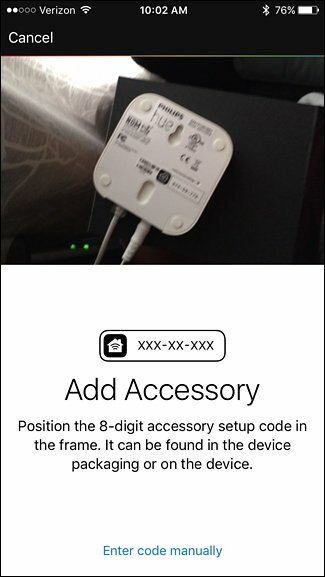 In the Philips Hue Starter Kit, you get 3 Philips Hue bulbs, the Philips Hue Bridge, an ethernet cable and a bridge power cord. 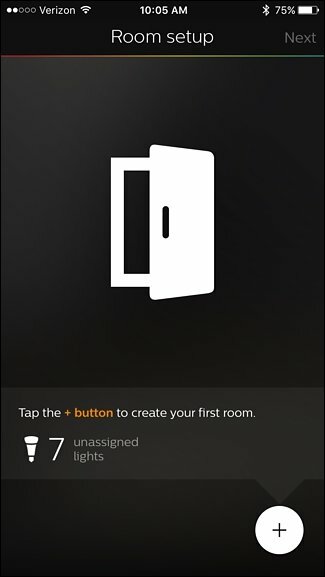 Step 1: Put the Philips Hue bulbs in the respective bulbs sockets or your room and turn on the switch to light the bulbs. This is just an assurance that the Hue Bulbs are working fine. Step 2: Connect the power adapter to the Hue Bridge and the ethernet cable with its one end in router and the other in Hue Bridge. 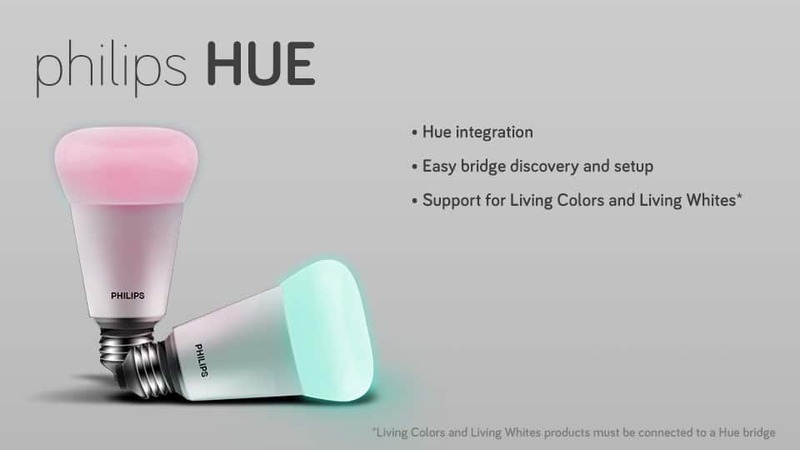 The Hue Bridge will use the Wi-Fi connection at your place for connectivity. Power on the Bridge and wait for all four lights to appear before starting up your connection process. Step 3: Download the Philips Hue Gen 2 app on your Android and iOS devices. 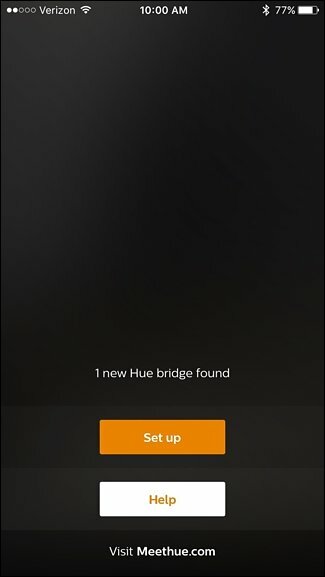 Step 4: Open the app and it will automatically search for the Hue Bridge. 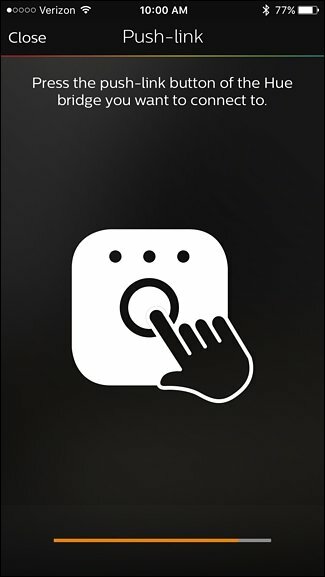 Once found, click on Set Up, and press the push-link button on the Hue Bridge which is the big round button in the center. Once it gets connected, click on “Accept”. 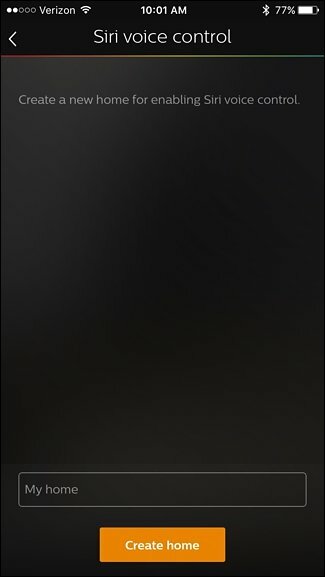 Step 5: In case you are an iOS user, click on “Pair Bridge” at the bottom to connect it with HomeKit and Siri. 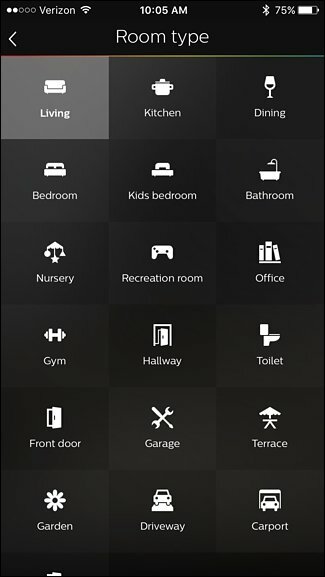 Click on “My Home” to give your home the name of your choice. Step 6: Now you need to scan the accessory setup code that is to the back of the Hue Bridge. Hole your phone camera to this code to allow it to scan. Else you can also enter manually by clicking the option to the bottom. 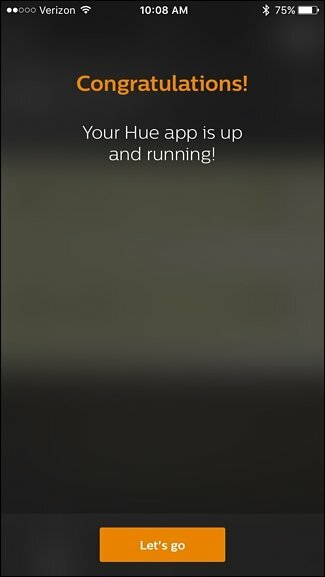 Now your Hue Bridge is ready to detect your connected Hue light bulbs. 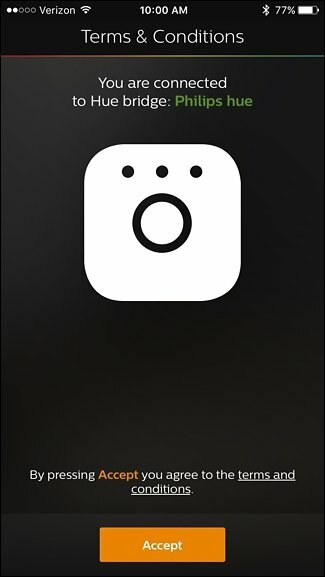 Just click the “+” icon at the bottom-right corner. Click on “Search”. 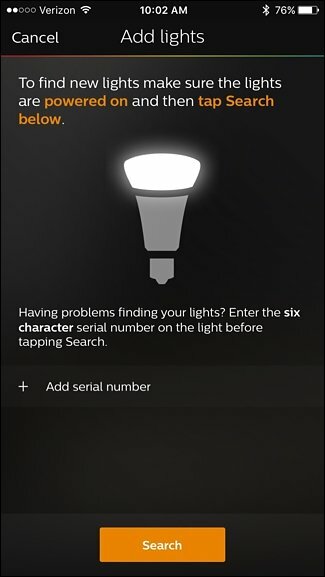 Step 7: After few minutes of search, it will find all your bulbs and tell you the number of bulbs it has found at the top. 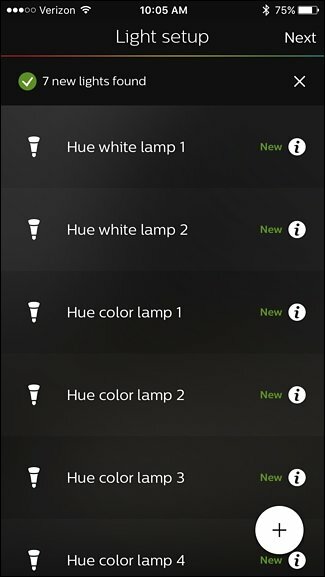 In case it doesn’t find all you bulbs, click on the “+” icon and then select “Add Serial Number” (available on the Hue Bulb) in order to manually add your bulbs to the setup. 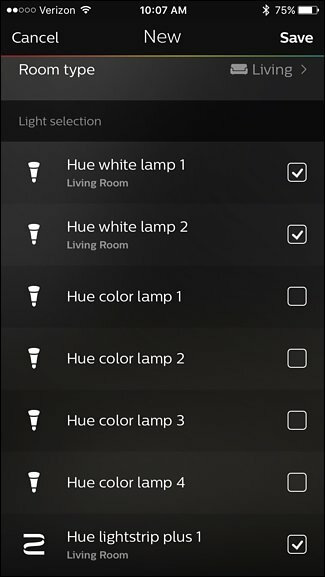 Step 8: Once all of your Hue Bulbs are found, the app will ask you to group them into one room for easier control. Click on the “+” icon on the bottom-right corner of the next page. Step 9: Click on the text box at the top and give a name to your room. Click on the Room Type to select the type of room. Step 10: In the “Light Selection” section, you can check the bulbs you want to include for the particular room you have selected. Then click on “Save” in the top-right corner. Add more rooms by clicking the “+” icon to the bottom or click on the “Next” button in the top right corner. Step 11: You are now done with the initial setup. 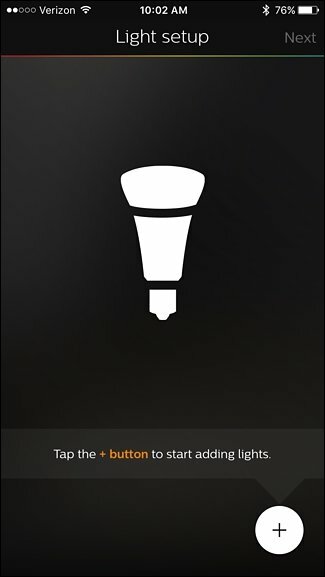 Click on “Let’s Go” to start controlling your Hue Lights. 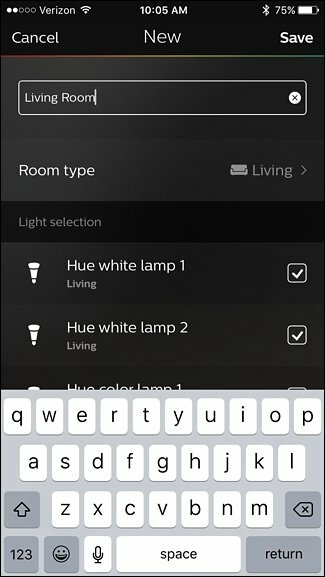 Once you’re done with the basic process to setup Philips Hue Lights, you can proceed further to explore variety of control features the Hue Lights offers like scheduling events based on your lifestyle, setting up themes, setting up your favourite scenes. adjusting brightness and a lot more.